1. 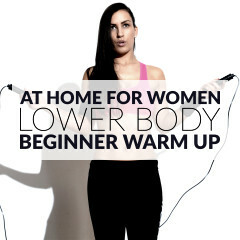 Start with your body in a straight line and your hands slightly wider than shoulder-width apart. Keep your toes and balls of the feet touching the floor. 2. Bring one knee up toward the center of your stomach and then quickly alternate between legs. 3. Continue alternating until set is complete. Maintain a plank position during the entire exercise, keep your core engaged, your hips low and your body in a straight line. It’s important to maintain proper alignment to get the most out of the exercise. Don’t sacrifice the form for the speed and try to breathe as slowly as possible. Mountain climbers are a dynamic, compound exercise, that works several muscles simultaneously and in a constant movement. 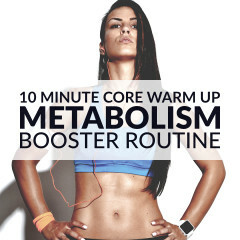 This full body exercise has the added bonus of raising your heart rate and boosting your metabolism. Adding mountain climbers to your workout routine can also help increase aerobic fitness, flexibility and agility. Start with a slow pace and do 1 or 2 sets of 8 to 10 repetitions. Once you’re comfortable you can increase the number of sets and reps. With mountain climbers, it’s crucial that you pay special attention to the alignment of the body. Practice doing planks first and then you can safely advance to mountain climbers.